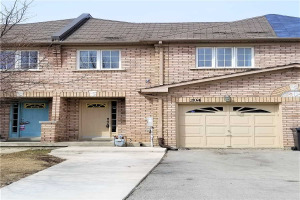 Gorgeous End Unit Town House With New Hardwood Floor, Double Door Entrance. Unique And Elegant Open Concept Main Floor With Lots Of Natural Light. Large Master Bedroom With Walk-In Closet And Newly Installed Glass Shower. 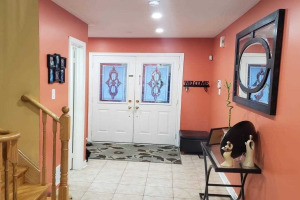 Close To Shopping, Movie Theatres, Hi-Ways, Schools, Conservation Area. Perfect Family Home With A Private Back Yard With Deck And Storage.